Washington State brings a lot to the table. One of the most environmentally friendly states in the country, this PNW favorite contains lakes and oceans, pristine national parks, the exciting city of Seattle, and punchy Spokane and Olympia. It is a diverse state with its largest city—Seattle—full of culture, youth, and an abundance of jobs. It has something for everyone, whether you’re a nature buff or a city slicker, and its population is growing every year. While Seattle may not be known for its low cost, the cannabis in Washington certainly is. 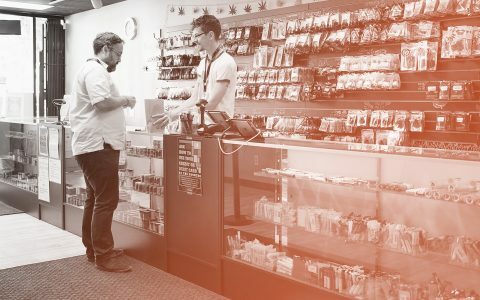 With a strongly developed recreational market, retail stores have a large surplus of various brands, meaning customers reap the rewards. In fact, according to BDS Analytics, Washington State claims the title for the most diverse cannabis market, with the largest variety of products surpassing Oregon and Colorado combined. Whether it’s infused beverages, infused cooking staples, tinctures, concentrates, or strains, if you can think of it, you can probably find a version of it in Washington. Load up on cannabis for a nature adventure. In addition to the plethora of products, adults age 21+ can purchase an ounce of flower, 72 ounces of liquid edibles, a pound of solid edibles, and seven grams of concentrate. Despite these generous regulations, you may be surprised to learn that Washington does not allow any recreational users to grow their own cannabis, and while a bill seeking to change this was introduced at the beginning of the year, it failed to pass. Overall, Washington has a lot to offer as a home for the cannabis consumer. With a major city, stunning nature, a vibrant cannabis community, and plenty of career opportunities, Washington is an obvious contender.